Equipment & Automation - Metri-Tech Engineering, Inc. Many years ago, Metri-Tech Engineering, Inc. was founded with the belief that integrity, hard work, and uncompromising quality were the keys to building a successful business. And some 39 years later, we still hold these same core values to be sacred. Metri-Tech is among the leaders in the industry for exceptional quality, with a DPPM score that is consistently below 500, resulting in a quality rating of 99.9% or higher. Quality ratings like that are what keep customers coming back year after year, despite the introduction of lower cost sources in the U.S.A. and abroad supplying lower quality products and services. When it comes to delivering parts in an expeditious manner, there is no better option than Metri-Tech. 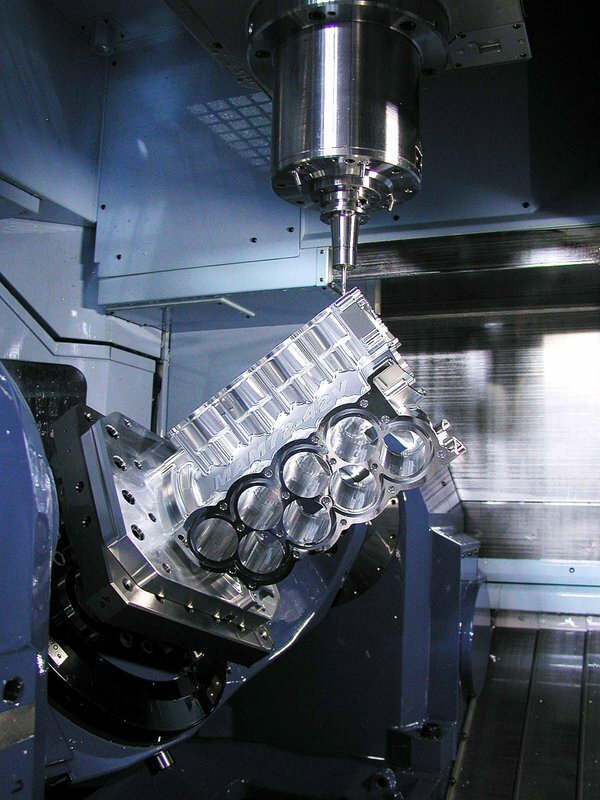 We regularly deliver high precision prototypes and one-offs with extremely short lead times, as well as high production, high precision jobs. Metri-Tech consistently beats the competition by weeks and sometimes months, with an on-time delivery average of 96% or better. Customers are continually striving for reduced lead times and Metri-Tech is delivering. However, there is a new core value that has been integral to the growth and development of the company enterprise in recent years. We have initiated a progressive policy of reinvesting company earnings to promote continual growth and technological innovation. With this new directive in mind, Metri-Tech has consistently reinvested company profits to purchase new high quality, state-of-the-art equipment on an annual basis. See Metri-Tech’s equipment and machine list. Metri-Tech has experienced a 250% growth over the last 8 years, despite a weak economy and an industry wide exodus of manufacturing work overseas. This growth is directly attributable to our reinvestment initiative, and a concise focus on technology and innovation. Reinvesting in the company requires sacrifice and financial discipline. Very few companies have owners who are willing to make the personal sacrifices necessary to continuously reinvest their profits back into the business year after year, the way the Metri-Tech has. But, our original core values coupled with a new focus on technology and reinvestment have helped Metr-Tech become the thriving company that it is today. Proper financial management is probably the most important factor in determining the long term success and viability of a company. Metri-Tech’s dedication to reinvestment has been a critical component to the success the company has experienced, and especially the future achievement that is sure to follow. As we near our 40th year in business, all of us here at Metri-Tech clearly know where we are, where the industry is going, and where the long term financial planning of our executive leadership will allow us to be; maintaining conservative sustainable growth and a management team that customers will be able to count on for another 40 years and beyond! Investing in new equipment is not just about buying a machine to fill an immediate void, it’s an investment in the future of the company, and its’ employees.